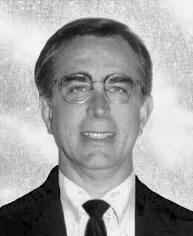 Stephen L. Barreca is founder and president of BCRI Valuation Services, BCRI Inc. He has extensive experience in the areas of depreciation and valuation theory and practice. He specializes in ad valorem taxation and has conducted or managed valuation and economic life studies of various type of personal property with an aggregate value in excess of $350 Billion dollars. His clients include some of the largest corporations in the world as well as state governments and local taxing authorities in both the US and Canada. Mr. Barreca has been accepted as a legal expert in the areas of personal property valuation, economic life studies, assessment of functional obsolescence, depreciation theory and practice, depreciation table development, technology forecasting, and telecommunications network capital budgeting, telecommunication engineering & construction practice, and the regulation of public utilities. He has successfully testified in utility rate cases involving many billions of dollars of revenue, and numerous property tax administration hearings and civil litigation. · Conducting or managing asset obsolescence & valuation studies involving over half a Trillion dollars in capitalized assets, including telecommunications equipment, electric utility plant, computers and other high-tech equipment, office furniture & support equipment, retail fixtures, Point of sale equipment, and others. · Assessing Functional & Technological Obsolescence of various types of property. · Group depreciation and accounting practice, including mortality/actuarial studies and the development of vintage retirement unit costs. · Mass Appraisal techniques for personal property. · Determining the economic and useful life expectancies of various types of equipment. · Development of Depreciation and Percent Good Tables. · Development and/or selection of mortality survivor curves (e.g., Iowa and Gompertz-Makeham). · Forecasting the evolution of emerging technologies, and qualifying the implications of technological change on Marketing & Strategic planning, Capital Budgeting and other business functions. · Residual Value and Salvage Studies. Mr. Barreca has presented at numerous industry forums including the International Association of Appraising Officers (IAAO), the annual Wichita Tax Conference, the USTA (United States Telephone Association) Network Planning Conference, the USTA Capital Recovery Conference, the IBC (International Business Communication) Asia Workshop, the International Engineering Consortium’s World Forum, the Society of Depreciation Professionals, the American Society of Appraisers, the International Property Tax Institute (IPTI), and others. He has taught training seminars on depreciation, valuation and function obsolescence at industry association conferences, professional society conferences, and public training courses; and is the primary author of the Society of Depreciation Professionals Life-Cycle Analysis training course. Additionally, his studies have been published in numerous trade magazines and professional journals. Mr. Barreca has presented and/or testified before the FCC, State/Province Public Service Commissions, and before the Florida Senate Subcommittee on Telecommunications Reform. Copyright © 2012 BCRI Inc. All Rights Reserved.